Fun fact: As we learned in our recent interview with director James Wan, the Aquaman filmmaker is a huge fan of the stranger aspects of Aquaman’s history -- including the sea king’s roster of animal sidekicks known by fans as "The Aquapets." With Wan's take on the legend of Arthur Curry hitting theaters on Friday, December 21st, it’s the perfect time to look back on some of the weird and wonderful creatures that Aquaman has chosen to work alongside. From a multi-instrumentalist octopus to porpoise matriarchs, Arthur has a splendidly eccentric roster of strange sidekicks that you might've missed over his 77-year history! Arthur's most famous animal companion was created by iconic Aquaman artist Ramona Fradon and made his first appearance in 1956's Adventure Comics #229. The original incarnation of Topo is a hyper-intelligent octopus with a talent for musical instrumentation. Born in Atlantis, Topo became Aquaman's favorite pet and accompanied him on many of his early adventures. Like many of Arthur's pets he also took on the role of babysitter to Arthur and Mera's son, Arthur Jr., a.k.a. Aquababy, doing his best to keep an eye on the heir to Atlantis. During the pre-Crisis continuity, Topo was a regular fixture, and showcased a vast amount of skills including some brilliant archery that he was taught by Green Arrow. He also was thought to be able to tell what people were thinking simply by touching them, and occasionally he'd turn his tentacles to waiting tables and even construction. The brilliant cephalopod transformed in later stories, becoming a octopus-human hybrid from Dyss and Arthur's regular sidekick. Topo returned to the pages of DC in Geoff Johns and Ivan Reis' New 52 Aquaman run as a massive Kraken-esque behemoth who was incredibly smart and strong. Although he was so powerful that he couldn't be commanded by Arthur's sea-creature controlling telepathy, he was still a close friend and ally to the king of the sea. If you think that having your closest confidante be an octopus is strange then wait until you hear all about Aquaman's surrogate mom, Porm, who just happens to be a dolphin! 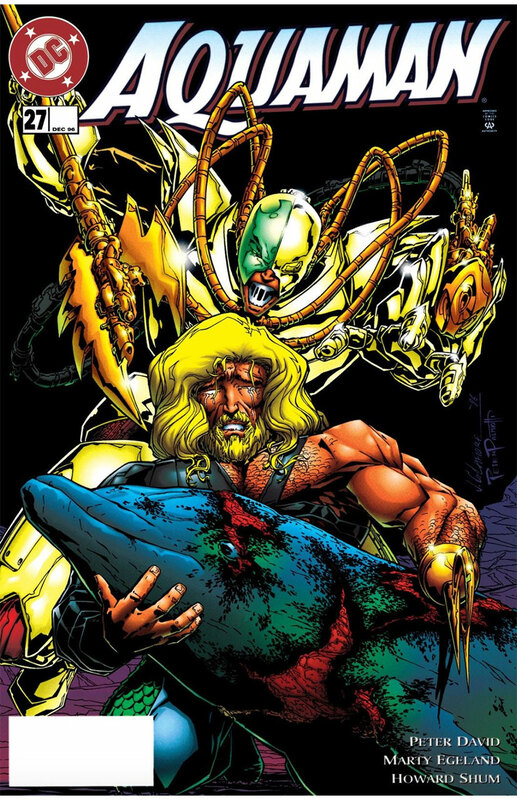 First introduced in Aquaman #1 (1991) by Shaun McLaughlin and Ken Hooper, Porm was a part of a new origin for Arthur Curry, as the bottlenose dolphin saved the young prince from certain death when he was abandoned by the Atlanteans in Mercy Reef. To the average human Porm may seem like your average dolphin, but she's actually the queen of her kind, and was known amongst her subjects for treating every dolphins like a member of her own family, a courtesy which she also extended to her young charge. It was established that Porm was essentially Arthur's mother, teaching him how to survive under the sea. As he grew older, the pair stayed close, with Porm taking on less of a matriarchal role and becoming the King of Atlantis' closest advisor. 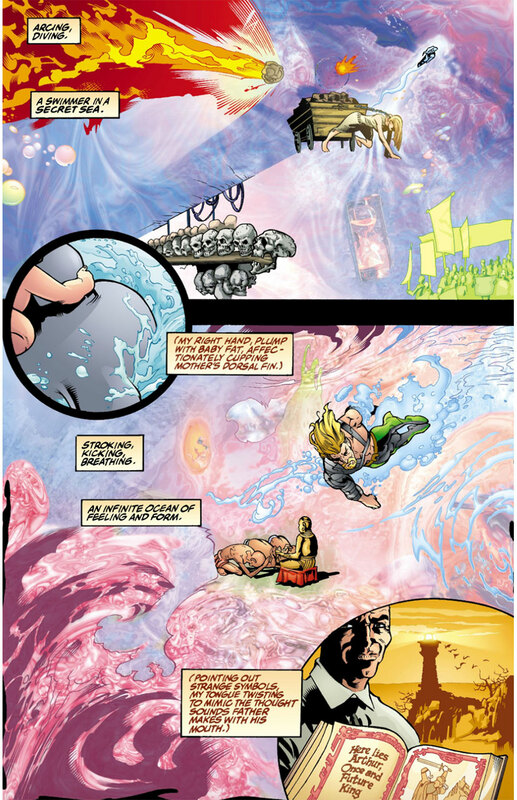 Later in the series, at the hands of creators Peter David and Jim Calafiore, Porm was killed by an enemy of Atlantis seeking revenge on Arthur, devastating her surrogate son. 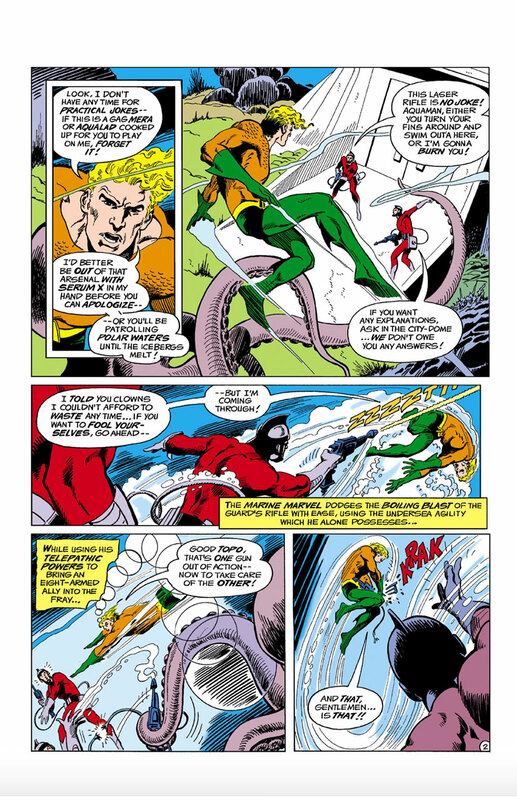 Some of Aquaman's most outrageous and colorful adventures came from the mind of artist Nick Cardy. One of his inventions, Storm the seahorse, is still among the most iconic of Arthur's sea-dwelling sidekicks! Swimming into existence in 1965's Aquaman #23, Storm was a large seahorse who lived within the underwater kingdom of Atlantis. Storm quickly became Arthur's most reliable steed and took part in some of his most vital stories. 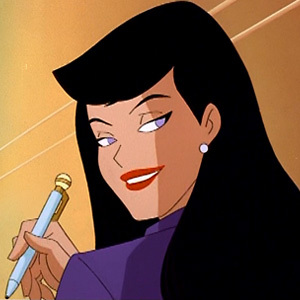 Even if you didn't read the classic Silver Age comics--which you should!--you might recognize the aqua-stallion from his (unnamed) appearance in TV's Super Friends or (most famously) his time on the Aquaman Filmation cartoon series from the late '60s. The moments they share have become popular memes as they're so exemplary of the ridiculous fun that Aquaman's world has to offer. Another perfect example of this is the surreal pairing of Tusky and Imp. 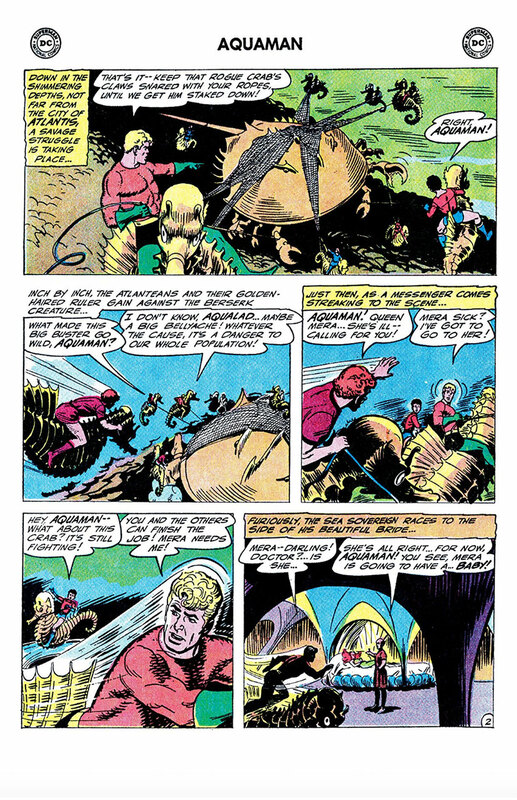 Debuting in Aquaman #36 and Aquaman #20 respectively, the walrus and seahorse have a particularly amazing appearance in the pages of Aquaman #37. The 1968 comic is as psychedelic as you'd expect and features the cheeky pair up to no good, along with Aqualad when they're meant to be keeping an eye on Aquababy. Now maybe there's something to be said about Arthur and Mera continuously putting their child's life in the hands of sea creatures, but Tusky and Imp are particularly bad at it, and in a brilliant splash page the couple are playing catch with Aquababy, literally using the baby as a ball to throw to one another. No wonder Arthur preferred Storm! 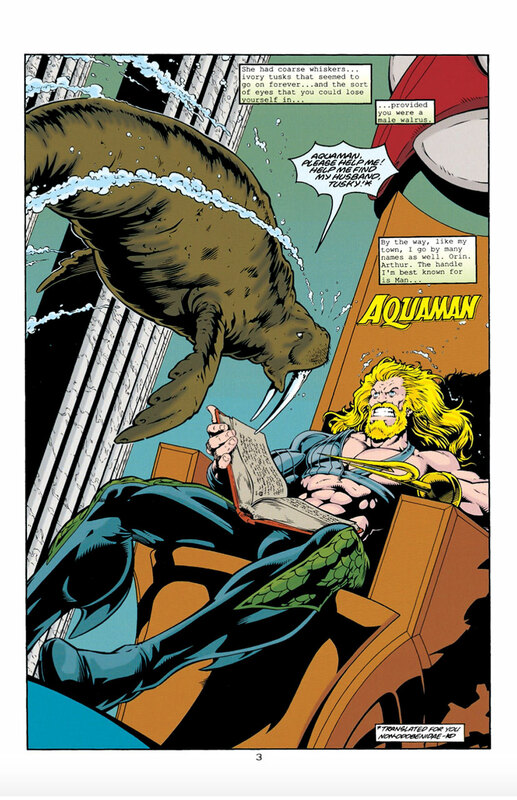 In 1997's Aquaman Annual #3, the walrus returned in a short story "Tusk Til Dawn" where Tusky's wife asked Aquaman to track down his missing friend. One of the most recent additions to Aquapet canon is Salty, a.k.a. 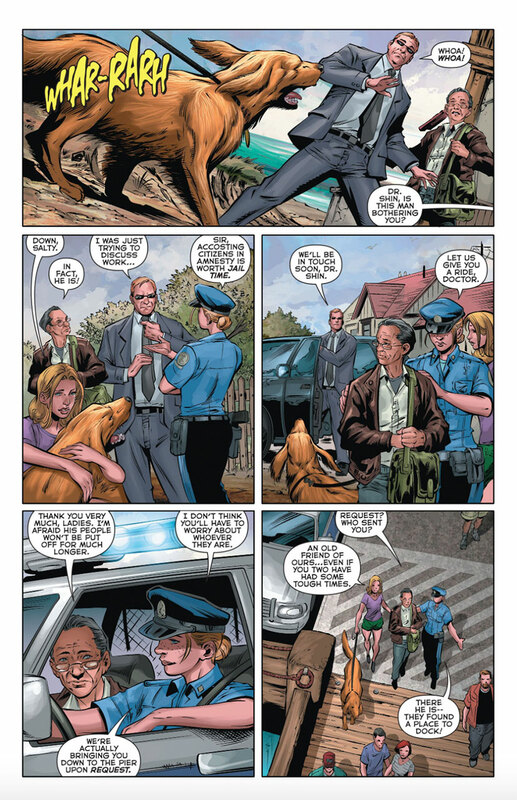 Aquadog, who was introduced in Geoff Johns and Ivan Reis' New 52 relaunch. During their first story "The Trench," Arthur and Mera had to fight off the terrifying threat of cannibal fish creatures from the depths of the ocean. 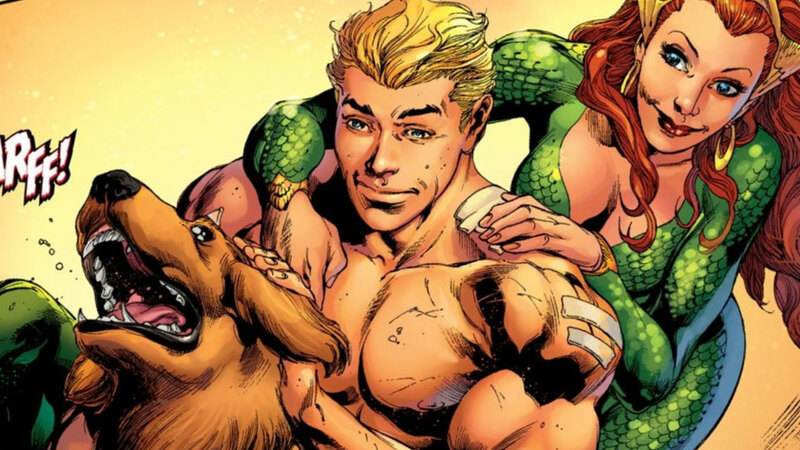 After defeating the creatures, Arthur and Mera rescued a dog who almost became fish food and adopted him, adding him to the ranks of iconic creatures who've stood beside Arthur to protect Atlantis. If you dig the Super-Pets as much as we do, be sure to check out cartoonist Art Baltazar’s line of DC Super-Pets books, as well as the DC Nation Super-Pets shorts -- featuring the most outlandish Aquapet of all -- Aqua-Cow! Who is your favorite Aquapet? Let us know in our Community!